Cardolite® Ultra LITE 2009H is a very low viscosity and very light color phenalkamine epoxy curing agent (Gardener 1) that contains benzyl alcohol. It is specifically designed for improved color stability and light color surface adhesives and coatings with faster hardness development. 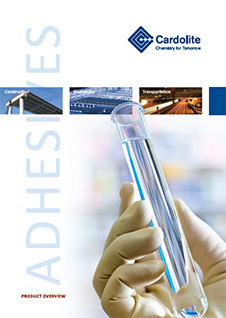 Cardolite® Ultra LITE 2009H provides excellent bond strength on metals and ceramics and is recommended for 2k epoxy adhesives in industrial and construction applications.